ArabAmCC – Layali al-fan [Art Nights]: You Think You Can Dabke? Did you know that November is Arab and Native American Heritage Month? 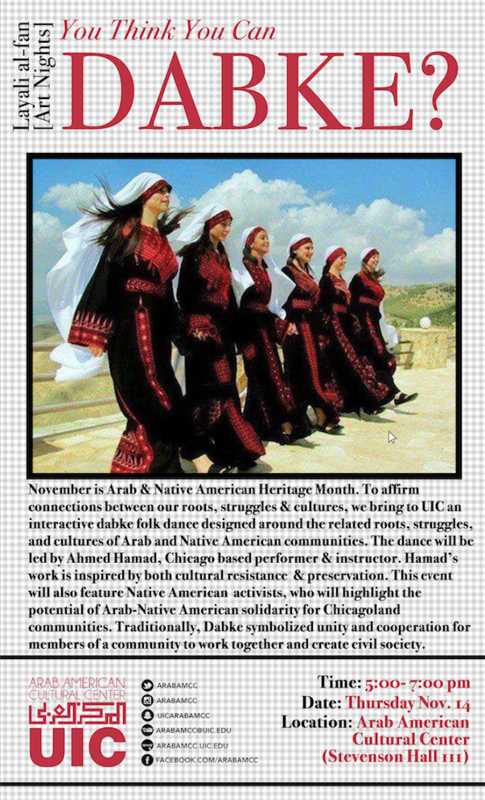 Join the Arab American Cultural Center as they affirm the connections of Arab and Native American roots, struggles and cultures through featured Native American activists as well as a unique interactive dabke folk dance lead by Ahmed Hamad, Chicago based performer and instructor.